Povray is a raytraceur. It was compiled for 68020 with an FPU. Gnuboy is a Game Boy emulator. It was programmed with the SDL library. It needs a powerful Atari or clone to run perfectly. It is the name of the biggest soundchip music compilation ever, containing 4646 tunes. The intro of this compilation explains the history of soundchip-composing, from the beginning of the ST to nowadays. This intro works on ST, TT and Falcon. It deals with an invitation for the Error In Line coding party. It will take place from April 18th to 21st, 2003, in Dresden (Germany). Project Tempest is the name of a new Jaguar emulator for Windows. It's a beta version and it allows to run some commercial games (e.g. Cannon Fodder runs perfectly). However, it has no sound yet and the emulation speed is acceptable from 1 GHz. MJJ Prod has released a music disk containing about fifteen soundtracks and original graphics. This demo runs on STe and Falcon, as well as Steem. 9 years after its realization by Hemoroids, the multipart called Phototro is available now. It only runs on ST and STe. 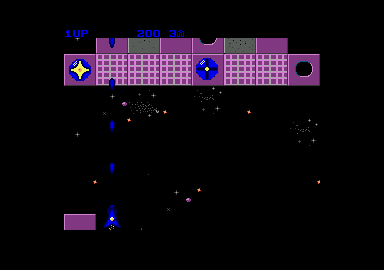 It is a new shoot'em up game for ST and STe, realized with the software SEUCK.